Gamification is an effective way to enhance employee performance as well as customer engagement. Benefits of this system include better communication, more effective learning, increased motivation, and more successful marketing strategies. 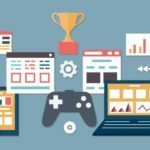 In this top gamification software list, we have included applications that are designed for either front-end or backend users, as well as both. Some solutions are stand-alone, while others are part of a suite, which is often a CRM platform. Despite the differences, these apps share similar features at a basic level. In this article, we analyze their strengths and weaknesses. We highlight the main features as well as elements like integration and customization. Our experts believe that gamification can be effectively included in a company’s marketing automation and HR processes. Check out our analysis of the 10 best gamification apps to find the system you need. Tango Card is an all-in-one rewards system you can use both internally and externally. It will enable you to deliver incentives to your employees, customers, partners, and suppliers. This serves as Tango Card’s strength and is also its weakness. That’s because employees and customers have different motivations to gain incentives; if you are not experienced you can mix up the programs for your target audiences using this single platform. Tango Card can also come handy if you have well-planned and clear rewards for different target audiences. It offers a vast catalog where you can store rewards such as prepaid items, donations, and e-gift cards. Recipients can select their rewards and you get to offer a range of options. Another plus point is you can scale the rewards gradually to provide greater incentives to your employees or customers to boost their productivity or to improve sales. Users can also offer their digital gift cards without much effort directly from their existing HR and productivity tools like Salesforce, Zendesk and Concur. Aside from email and integration via apps and third party platforms, Tango Card users can also print out rewards and coupons and hand them over to recipients. To make matters even better, Tango Card has one of the most responsible and knowledgeable support teams in this category, as a number of friendly and experienced agents are always a call/email away from solving your issues and answering your questions. A database of useful materials and online training program is also available to novice users without extra fees or expenses. Influitive is a customer-focused incentive solution that rewards loyal customers. It can help to supply leads to your sales funnel. The system enables you to identify your repeat customers and provide a rewards program to them to boost engagement and interest. The vendor has designed this program as an alternative to email promotions and social media ad campaigns. But we think this customer rewards program can complement your other promotions instead of replacing them. The main goal here is to expand and not limit your lead generation efforts. With Influitive, you can build a loyal online customer community where they can share their user experiences and tips, and talk about related issues. They can act as brand ambassadors for your product. Another advantage is your customers can access your rewards program using email, on-site, and social channels. The software identifies your best customers and you can focus on preparing suitable loyalty incentive programs for them. Badgeville combines employee incentive and customer loyalty programs, but uses a co-op structure. There are different channels for employee gamification and customer loyalty rewards. You can use gamification leaderboards to boost sales performance or customer support. Plus, you can utilize a social media-based rewards program to track customer engagement and give out rewards to brand ambassadors. For employee incentives, you can use multiple point systems to monitor performance. For customers, you can offer badges, coupons, trophies, and special discounts. The app can track customer engagement including website visits, shopping cart activities, and video streaming. We are impressed that Badgeville uses Facebook and Twitter to reach and engage more customers. Participating customers can view a leaderboard on these social channels that shows their performance against other consumers. Like its name suggests, Hoopla is a fun app that mimics a live sports event. You can use it to boost the interest and excitement of burnt-out employees who are bored with repetitive tasks such as telemarketing and customer support. You can easily create contests based on CRM metric and use leaderboards to launch them. Then, you can stream the results daily using video on the internet, internal TV channel, and directly to your agents’ mobile devices. We like that Hoopla can be used to run dynamic gamification campaigns. Companies with sales or customer support teams can use this app to keep their agents motivated every day and add excitement even to repetitive tasks. However, this solution may not be ideal if your goal is to engage customers. GetBadges empowers developers to play and compete while using over 20 popular and widely used software development applications such as GitHub, Jira, Trello and Redmine. The platform makes it easy for them to easily make and launch competitive game integrated with your project management and developers tools. Once a developer tool or a project management software is gamified, developers can score points for performing and finishing essential tasks such as implementing novel features, code reviews, eliminating bugs, and delivering software on time. This functionality promotes healthy competition among developers and project team members which then results in improved performance and productivity. GetBadges cultivates teamwork within the organization and promotes best practices as well as agile software development. As part of their respective teams, developers become more aware with their teammates and always provide assistance to their colleagues. Freshdesk Arcade is part of the Freshdesk brand; this means excellent tech support and reliability are guaranteed. Native integration with Freshdesk is a big advantage as gamification can be used to enhance sales performance and customer service. We have given this app our “Verified Quality” seal which assures you of the high quality of the software and the credibility of the vendor. We have selected Freshdesk Arcade as one of the top gamification apps because of its customer focus. Many apps try to cater to the requirements of both internal and external users but are not successful. This is because both user types have different priorities and needs. We appreciate that Freshdesk Arcade doesn’t try to be a one-size-fit-all system; it focuses on its main strength which is customer service.The system gives points for factors such as time taken to resolve tickets, success-failure rate of resolution, and customer satisfaction. You can include all the factors or focus on just one area. This flexibility allows you to use metrics to enhance both team and individual performance. The leaderboard is a useful feature you can use to track your agents’ progress. Playlyfe is an online gamification platform that allows companies, organizations, and individuals to create a gamified solution for non-game experiences and regular work assignments. It does this by breaking down the technical barriers that often hinder the adoption of gamification, and to provide an outstandingly interesting and motivational experience for every team. Playlyfe allows you to go from a game design on paper to a completely functional app in a matter of minutes. It gives you immense flexibility and power to design, prototype, and revise your game design over time. It offers a ready-to-use auto-generated web app made from your game design. You can invite your friends to participate in the game, where they can do tasks, join teams and see their profiles and activity logs. It will also offer REST API for developers to connect it to their websites and mobile apps. Rise is designed for online publishers that want to attract and engage their target audience. The system is an auto ranking blogging tool that identifies the leading social influencers who engage your digital channels.  It links to Klout.com to determine social influence. You can use Rise to boost your website’s reputation and SEO authority by using visitors who have high social influence. This can be done by inviting Twitter users to participate in your list of top influencers and you can rank them on a leaderboard based on their social media influence. You can embed this ranking as a widget on your website with real-time conversations and updates. Users can make use of Rise’s open API to fine-tune their gamification ideas. The app is based on a novel concept so it can take some time to learn to use it effectively. But the process is simple: create a board, join it, and follow it. LevelEleven is a great gamification app to motivate your sales team. It offers a CRM feature your reps can use to identify leads and nurture them into conversions. The main advantage is you can incentivize the sales pipeline. Sales reps can view their results and compare them with others. Apart from standard gamfication features, a big benefit is LevelEleven is backed by Salesforce. This means you get the same reliable uptime and security as the solutions in the Salesforce family. Plus, you can boost this software’s capabilities by seamlessly integrating it with the platforms in the Salesforce AppExchange store. Catalyst is a gamified sales productivity application that enables companies to train and equip sales agents by driving CRM adoption, attaining and maintaining their motivation, as well as enhancing transparency and accountability within sales teams. The software is designed to seamlessly integrate with today’s popular CRM platforms, streamlining the collecton of performance data and turning them into gamified dashbaords that agents use to drive better visibility into the sales process. Catalyst enables real-time performance management, tracking sales performance and keeps both sales reps and managers on the same page. Points, leaderboards, and badges help keep things interactive, fun, and engaging. The system’s productivity matrix shows managers the efficiency ratings of their agents and identify issues that prevent them from realizing their goals.